✔.This natural loofah single is between 3-4 inches. The loofah will be a bit rough that why super important to soak it before use. Ideal for all the family members, it is also an excellent gift idea for any occasions. ✔.This bath sponge is made from natural plant fiber material and is free of any harmful chemicals, does not irritate your skin and suitable for sensitive skin, prevent skin diseases and rejuvenate skin. ✔.Before using, moisten with warm water, add a little shower gel or soap, and then gently rub the body skin, about 10-15 minutes. Removes oil and cuticle from skin to help blood circulation, fighting cellulite and removing dead cells. ✔.Loofah is a natural growing plant. We use loofah's high-quality internal fibers to keep your skin healthy. It can effectively remove the dust on the surface of your skin, eliminate excess fat in the pores and have a good effect on skin diseases such as acne, pimple etc. Your skin will be ruddy, smooth, radiant and young. ✔.After using, use the string to hang and dry the shower sponge to extend the period of using to prevent bacteria from multiplying. ✔.Before the first use, soak your loofah for 20 minutes, it will then be able to absorb enough water. ✔.Apply your favorite soap or shower gel and then wipe gently your skin for 10-20 minutes to facilitate blood circulation, accelerate metabolism and enhance immunity. Once you started to use the Loofah sponge on your daily shower, you can be surprised about the benefits that can get from it. To mention some of it, here is a list of the valuable reasons why you need to use it. • You can achieve an almost priceless relaxation and peace of mind. If you will choose to use the Loofah sponge on your daily shower, then you can be surprised on how calm and relaxed you are. Thus, it will definitely give you a relaxing feeling in just a very wallet friendly and cheap cost. As a result, you can reduce the stress and tension that you feel from your daily work and other stressful activities. • It is safer to use and will never cause any damage to your skin. You have nothing to fear since the Loofah sponge is well crafted from natural and organic ingredients. With this, you can well avoid possible skin infections that can affect your body health. Since it comes from Mother Nature, then you can assure that it is safe to use on a regular basis. • It can help to exfoliate the skin. 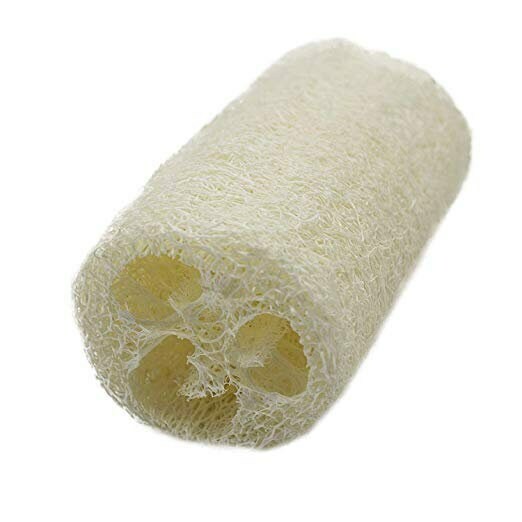 The Loofah sponge is composed of slightly rough fibers that are very helpful to exfoliate your skin. In addition to this, it is also beneficial for you to eliminate dead skin cells that will automatically give you smooth, youthful as well as glowing skin. • It stimulates your skin’s blood circulation. The friction that it creates as you use it on your shower will make the blood vessels to properly circulate the blood. You can observe this when you see that you skin turns into slightly red once you scrub it on your skin. • Healthy for the environment. The Loofah sponge is biodegradable so you can make sure that it will not cause any damage to the environment as well as to your skin. The best thing about this product is that it can be availed in just a very low cost without sacrificing its high class quality. ✔.Rinse your loofah until no foam is available. ✔.Use your loofah three times a week to exfoliate your body which will look naturally shiny and healthy day by day.